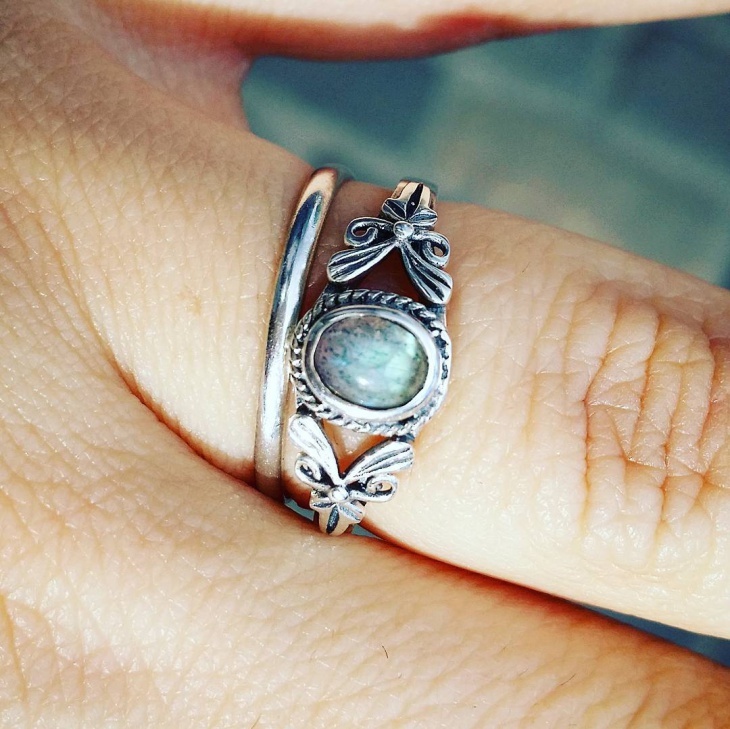 Rings have evolved over time to create meaning and style that is unique to each person. 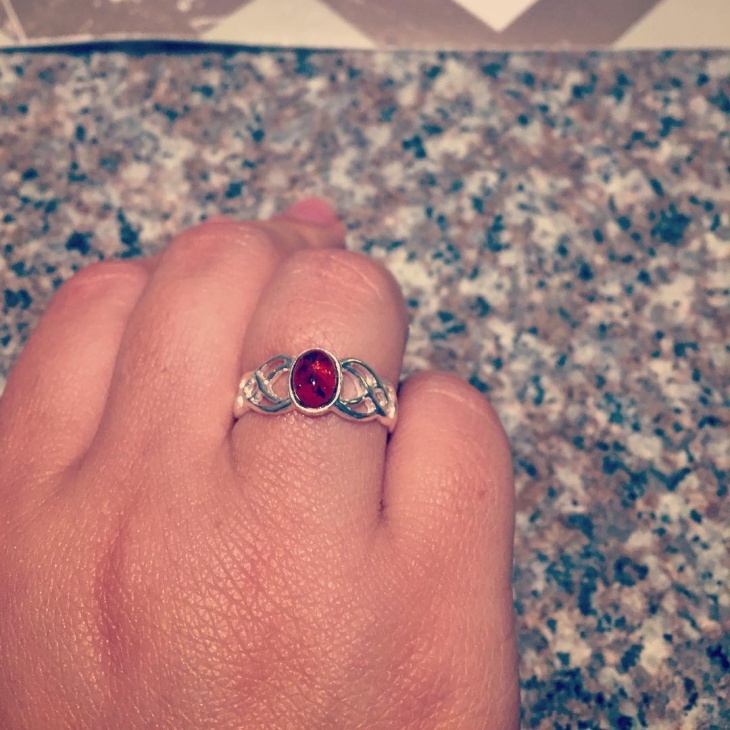 While a classic rose engagement ring design was once considered trendy, the rich history of Celtic rings have cemented their status. 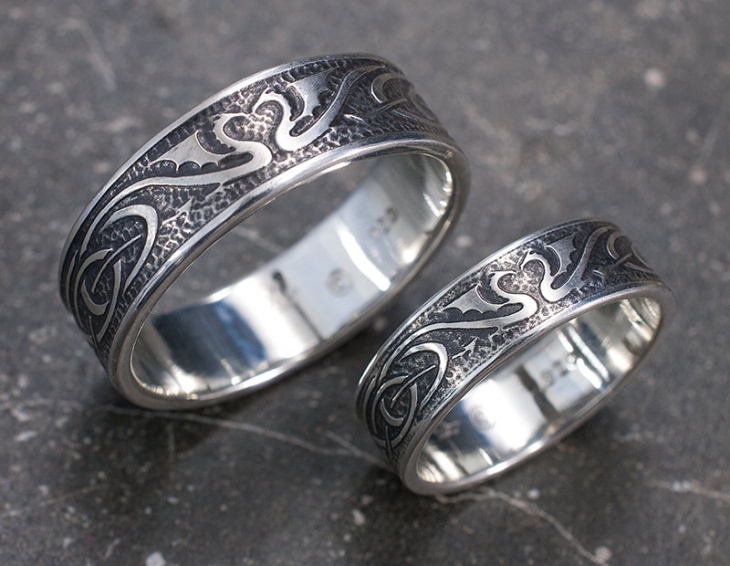 The simplicity of patterns, shapes and designs makes a Celtic ring a must have for a wedding or engagement. 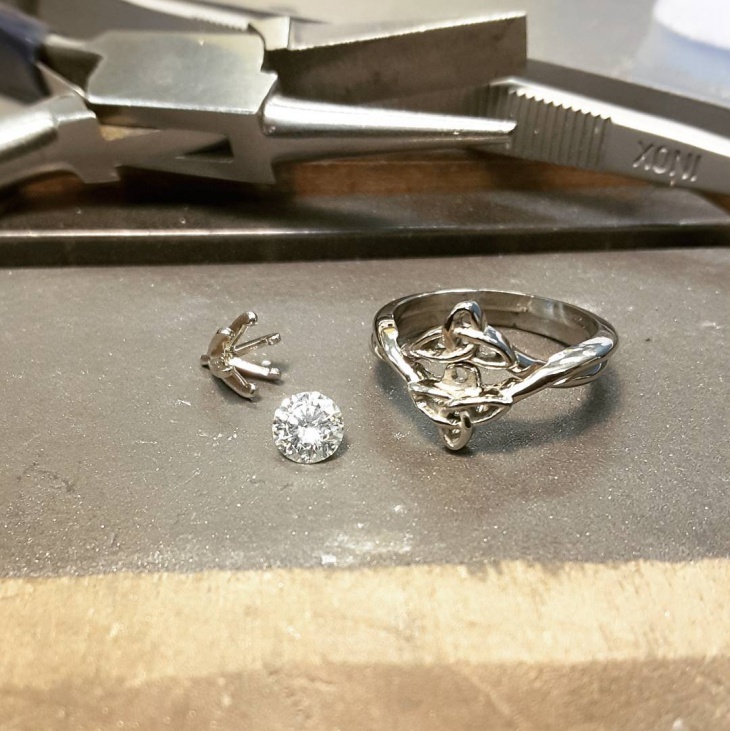 So whether you’re looking for a ring which symbolizes eternal love, loyalty or friendship, there is a design that will suit the occasion. 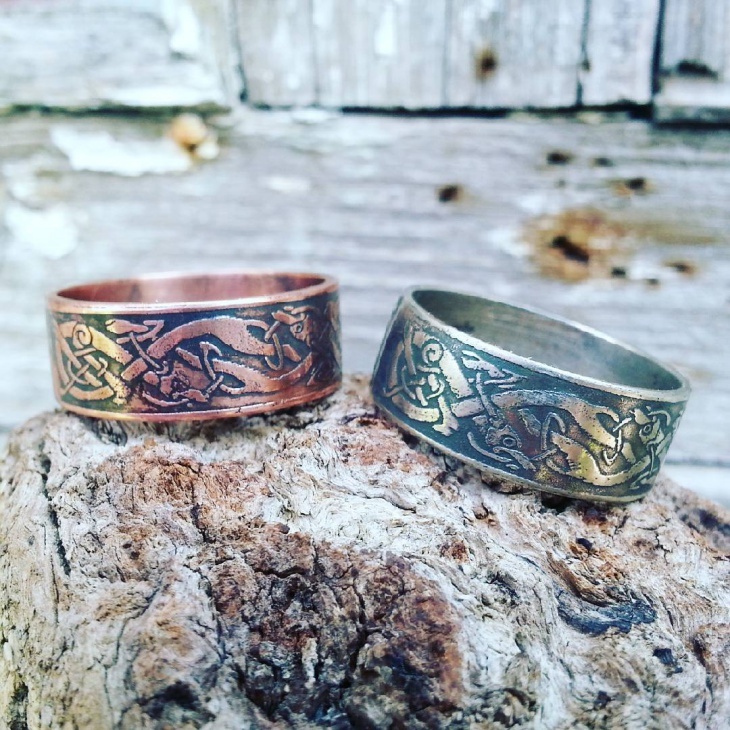 What better way to seal your commitment to each other than with a unique Celtic wedding ring. The silver color of the ring will complement your wedding gown while the green gemstone will portray your bold and elegant style. 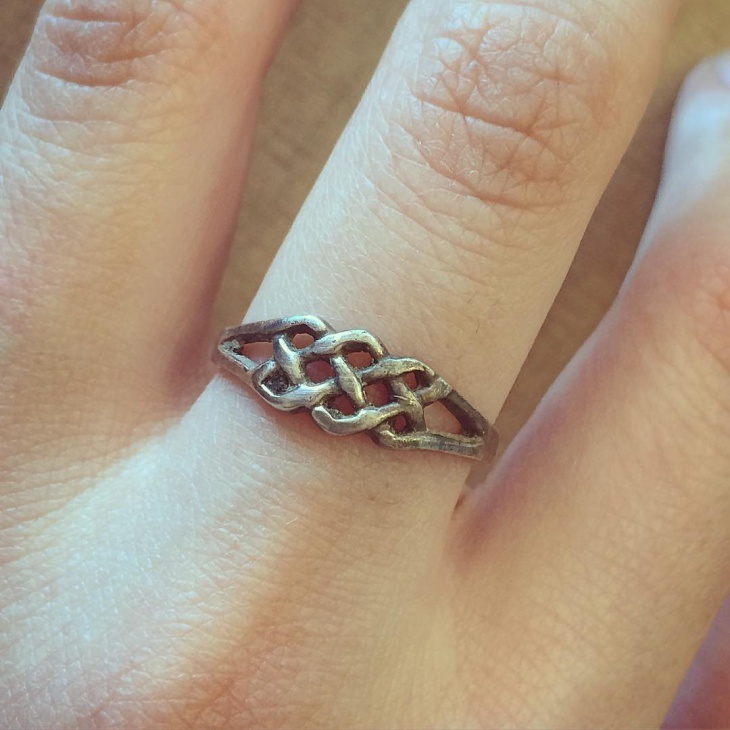 An infinity Celtic ring is the best jewelry that represents a strong bond between a mother and her daughter. 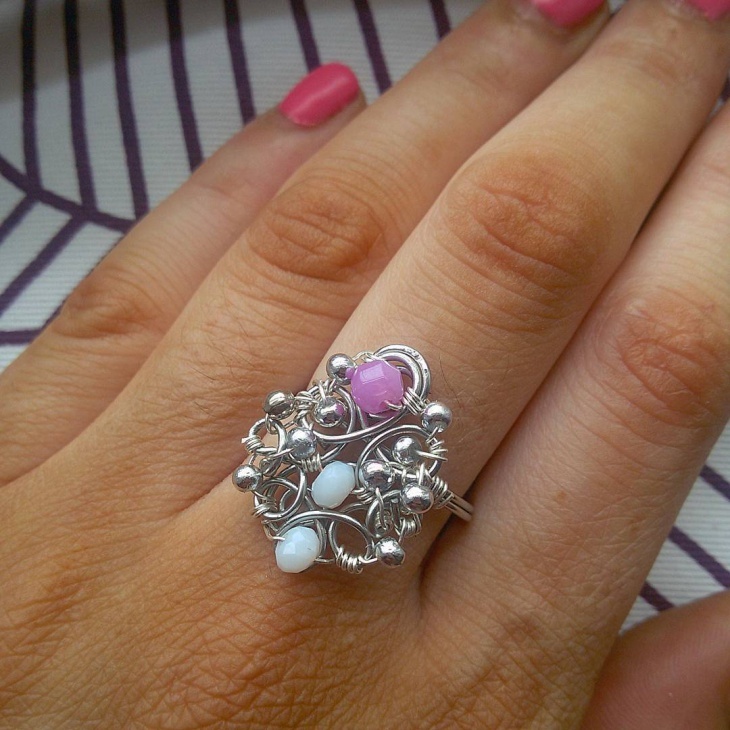 The infinity symbol adds a special meaning because you can add both of your favorite gemstone colors in the ring. 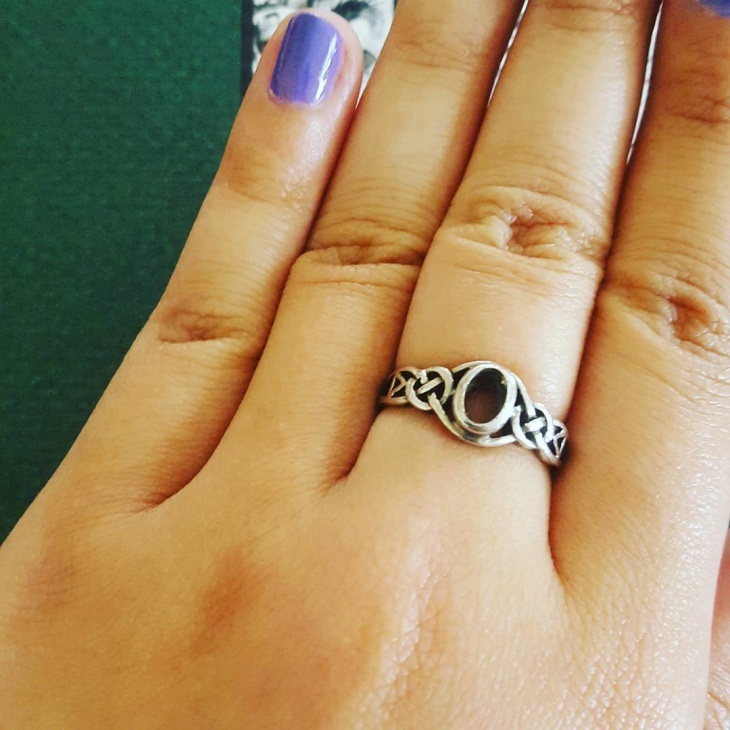 Consider getting a silver Celtic ring to symbolize your rich history or culture. The one of a kind ring design with a brown gemstone will make even a simple outfit look elegant and fresh. If simplicity is what makes you buy any jewelry, then you will love a Celtic eternity ring. 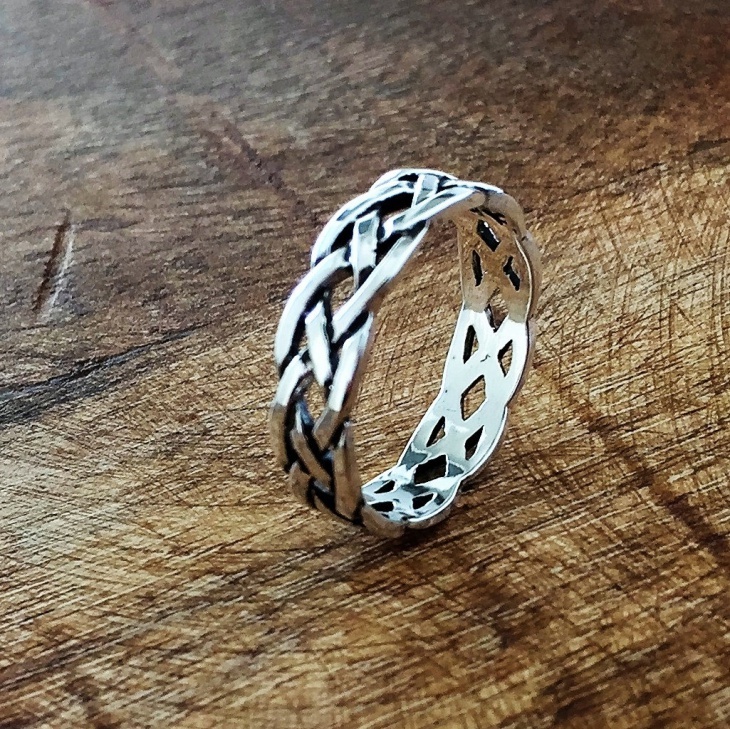 The silver color together with eternity symbols makes this Celtic knot ring perfect for both male and females of any age. Gold is a metal that will never go out of style. 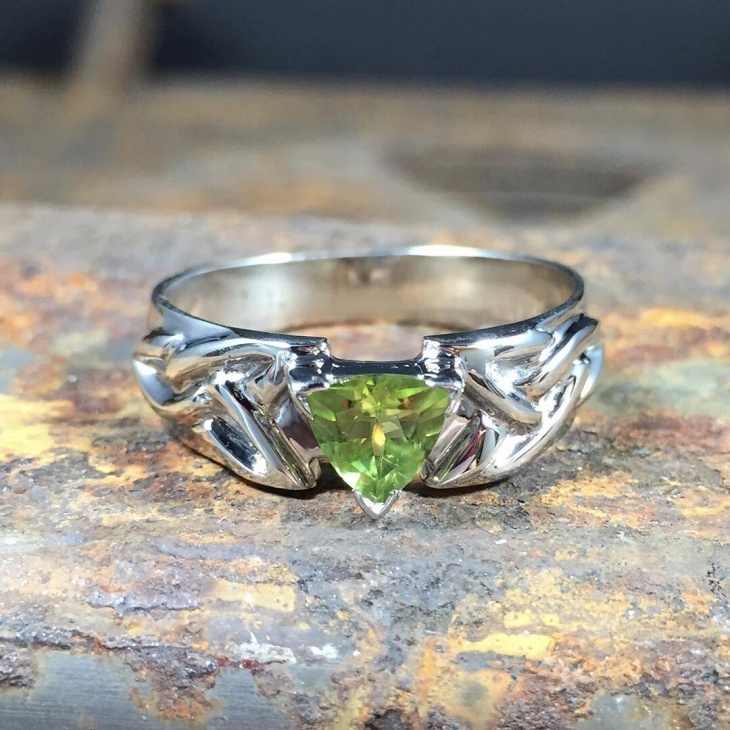 While a Celtic gold ring on its own is beautiful, a knot ring with a peridot portrays a style that is unmatched. The colored gemstone gives the rings a modern style. Ladies, we know how you love memorable gestures. A heart shape Celtic ring is a way of portraying everlasting love. 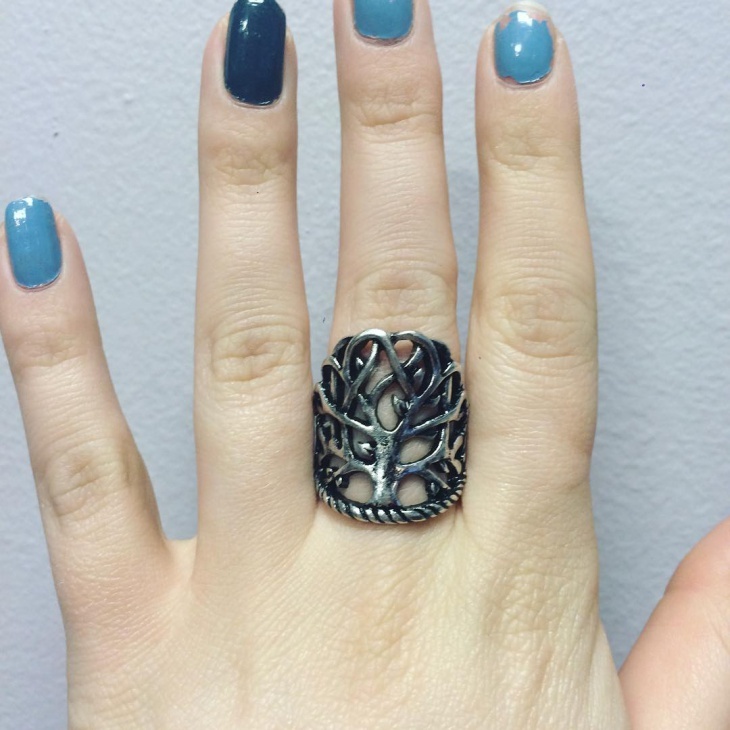 Its silver tint will complement any nail polish color to give your fingers that edgy look. 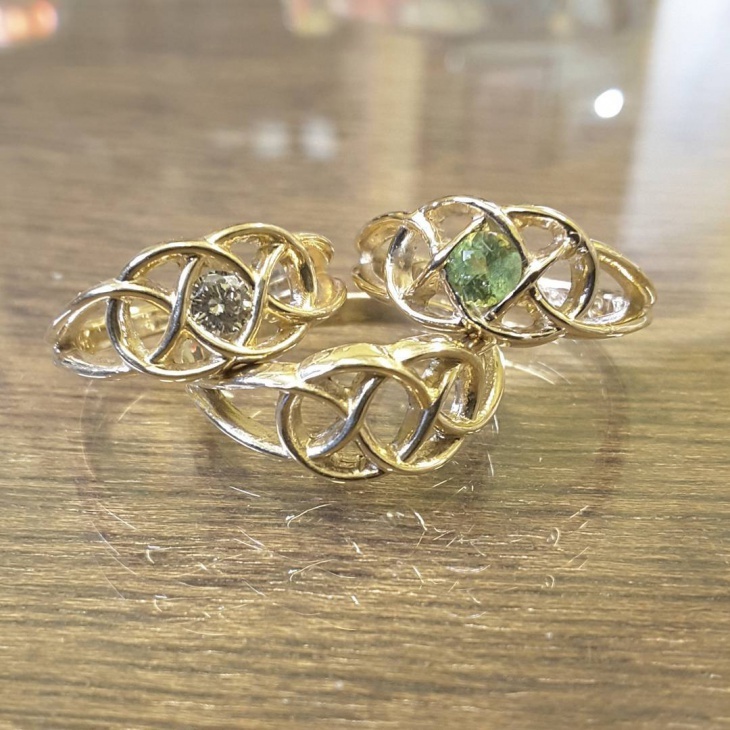 A Celtic trinity knot ring with a gold and silver finish is what you need to complete that beautiful outfit. 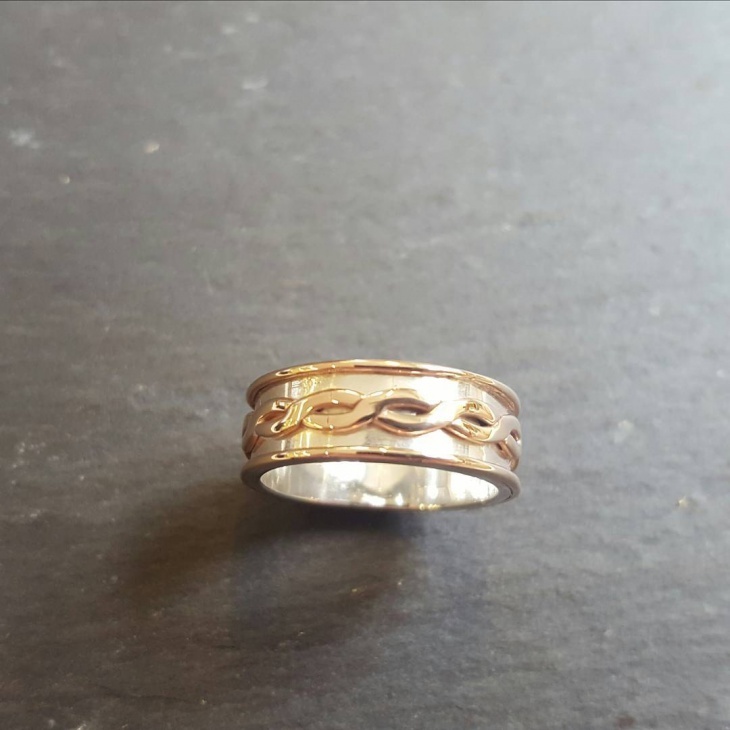 With features such as three interlocking circles, a triangular and oval design, this Celtic ring represents top-notch creativity. 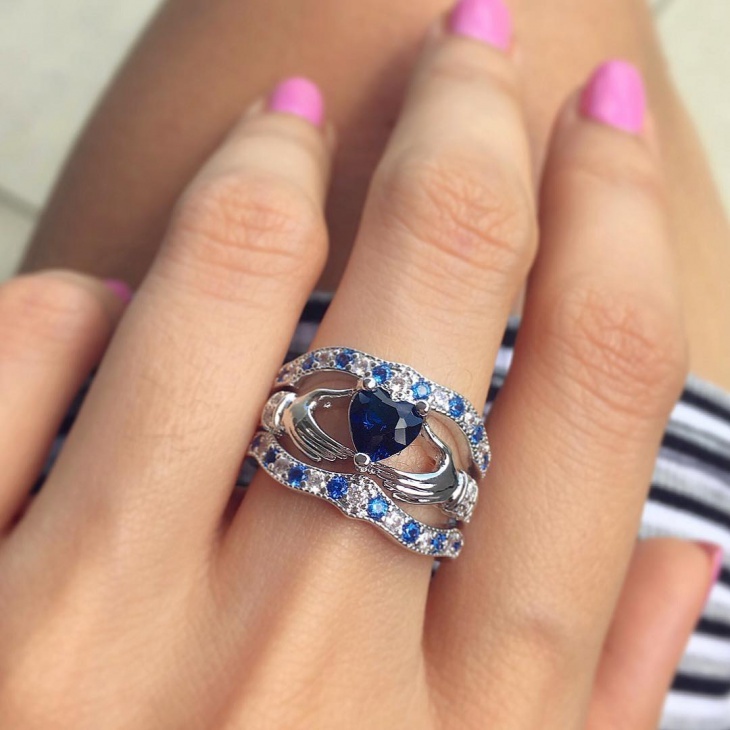 If you need one of a kind engagement ring that expresses your love and affection, then opt for a Sapphire Diamond Celtic engagement ring. Two hands holding the love symbol portrays the unbreakable bond shared by the two of you. 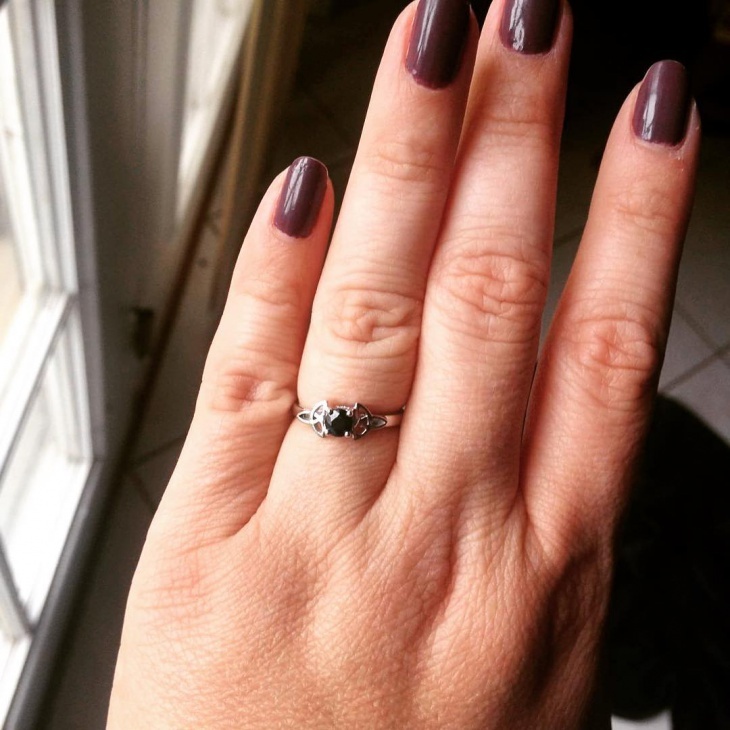 All women love diamonds; so why not make your engagement a day worth remembering by opting for a Celtic black diamond ring with Trinity symbols. 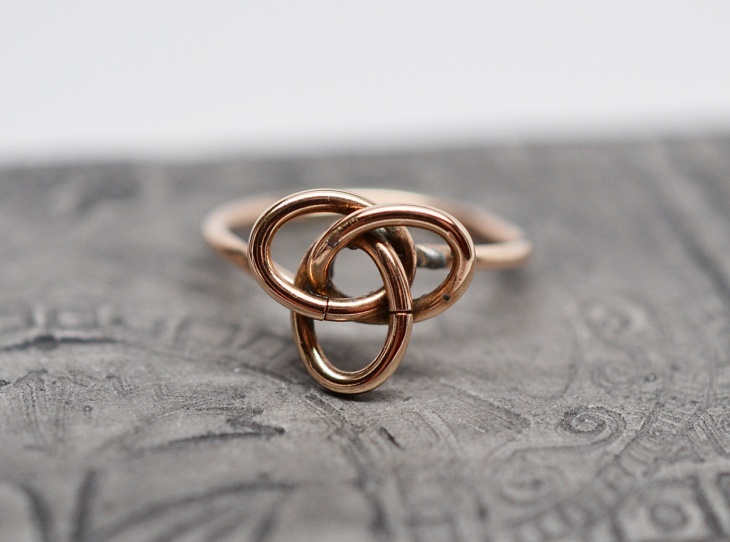 The trinity knots in this ring symbolize an eternal love, making the design perfect for her. 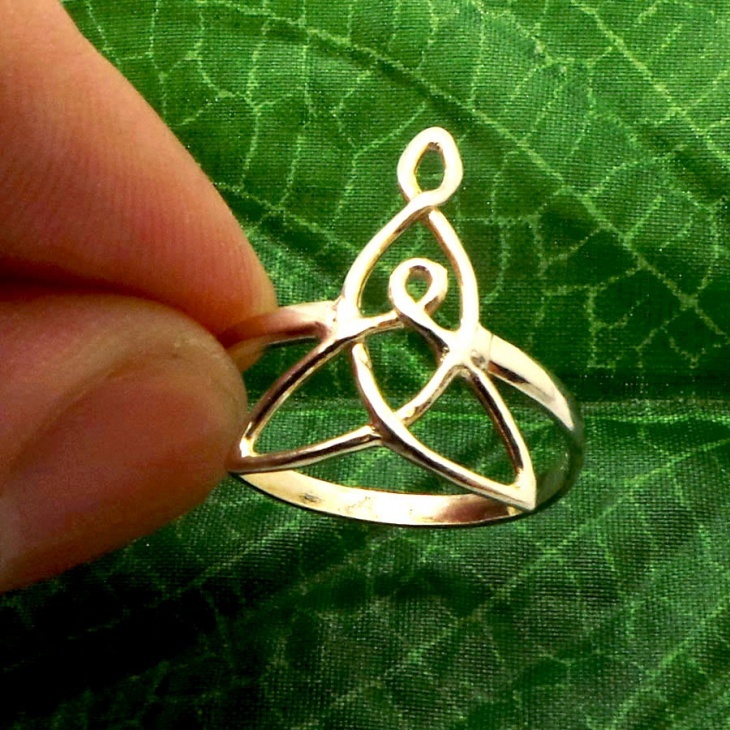 How to wear a Celtic ring? 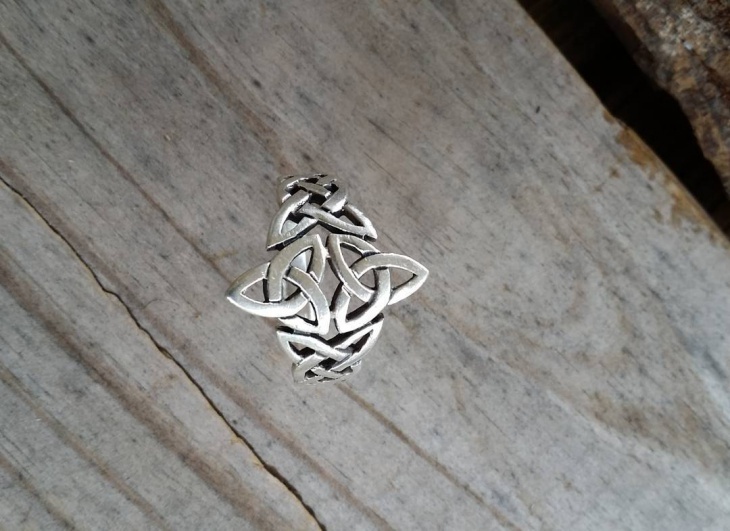 Opt to wear a Celtic ring to represent your heritage by carrying it in your pocket in case you don’t want to wear it, by wearing it on any fingers, on necklace chains or as part of a bracelet. 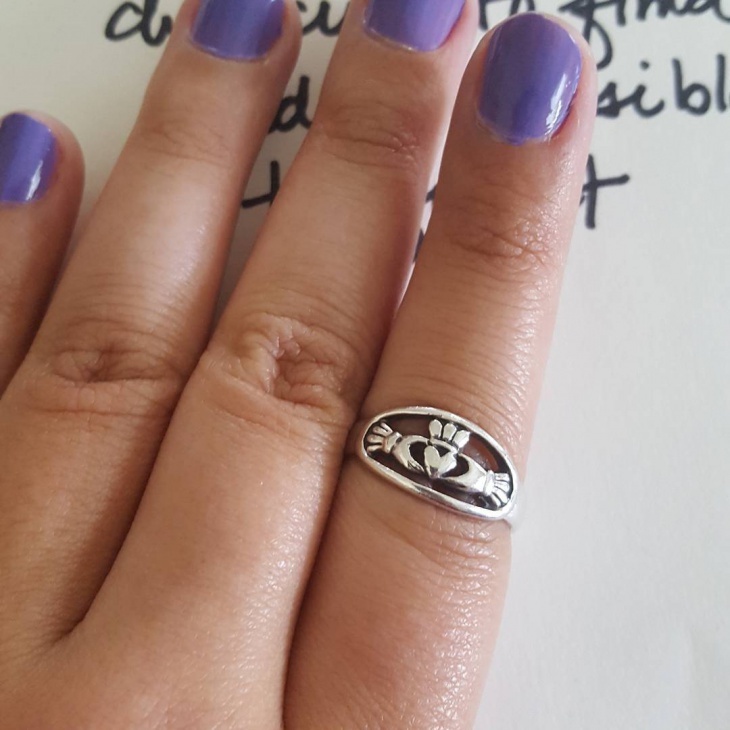 You can wear a Celtic ring on the middle finger to show a married status or on any finger to show a bond you share with someone special such as your mother or a best friend. 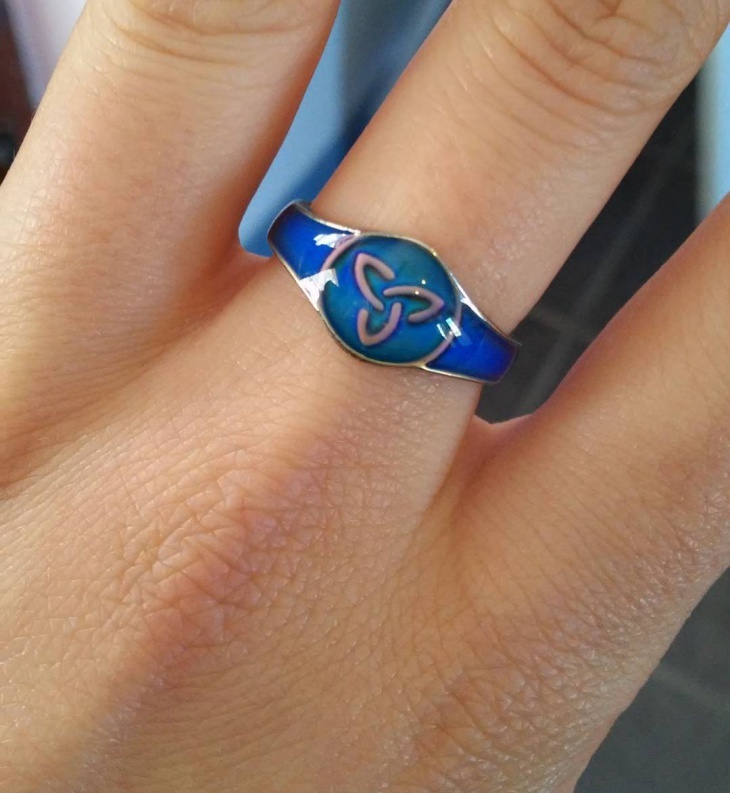 While a diamond ring is a classic, most people are now going for Celtic rings with colored gems such as a blue wedding ring to depict their unique style. 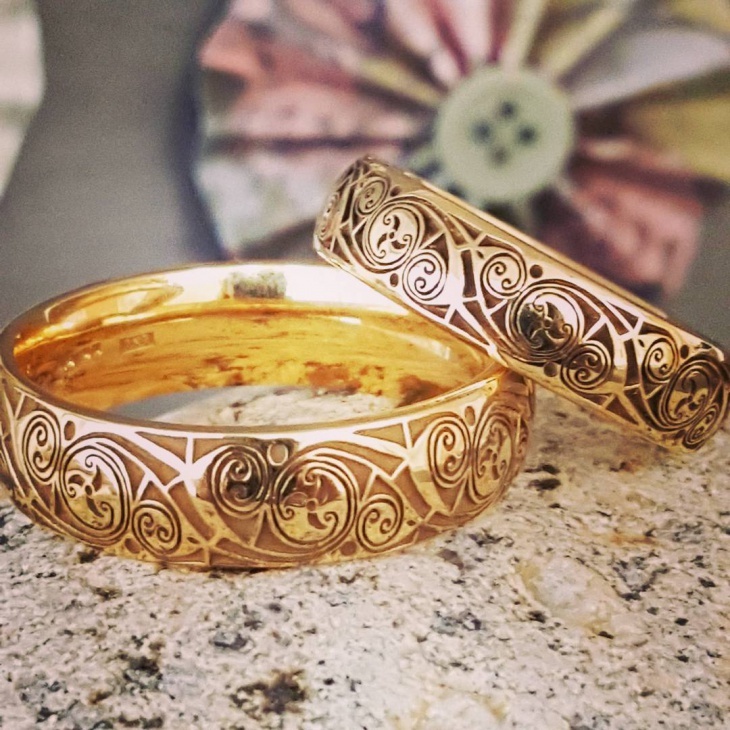 The intricate trinity knot designs, infinity or heart symbols makes Celtic rings perfect for portraying a strong bond between two people, love or compassion.